I have most of a sock! I turned the heel and did the gussety bits yesterday and it was a lot easier than I’d expected. I really only screwed up a couple of times and nothing was so bad it couldn’t be fixed or tolerated. 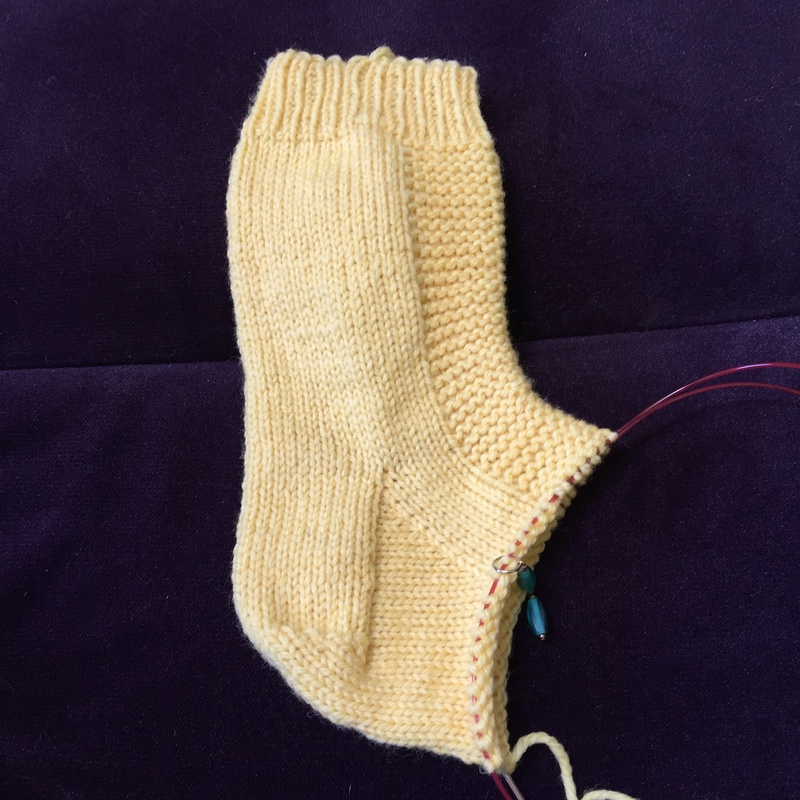 The main thing I did was to pick up stitches along the wrong edge of the heel flap and then couldn’t figure out why I was basically knitting on the inside of the sock instead of the outside, but I figured it out pretty quickly. If you think of the cuff and leg of a sock as a tube because, well, it is, and then imagine a squared off tab extending from the back bottom edge, that’s where I was. Holding the sock cuff edge down with the heel tab closest to me, I should have picked up stitches along the left edge, knitted (around) across the front of the ankle, then picked up stitches along the right edge of the tab, then knitted around the back of the heel. 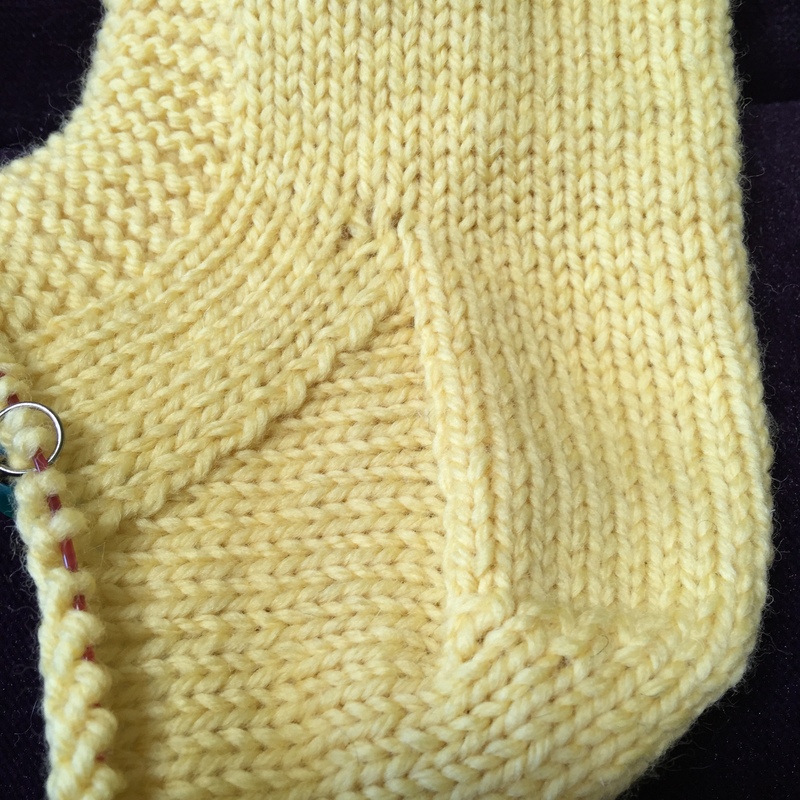 If you think about the heel flap as being at 6 o’clock then I should have started at about 7 and knit clockwise around. Instead, I started at about 5 and tried to go the other way. Didn’t work! But was very easy to pull out and get going the right way instead. The problem? I didn’t read the pattern thoroughly enough and missed the last row on the heel flap. Trust the pattern, kids! Unless it’s wrong and then listen to your gut. But otherwise, sometimes you just have to have trust in the pattern and re-read it until it gels. How do you tell the difference? The short answer is I don’t know. 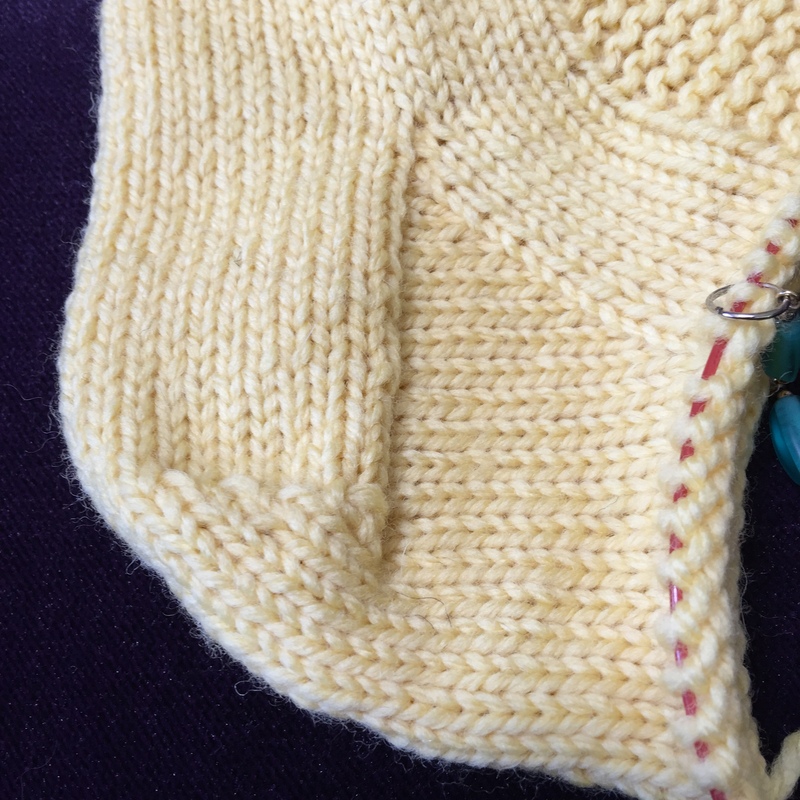 But with the advent of ravelry, at least you can browse through other people’s projects and, if no one mentions crazy weird issues, chances are you’re misreading something. The right side worked pretty well, but I learned a couple of things on the left side. I didn’t pick up the stitches cleanly so there’s a couple stray plies of yarn out of place for some of them. Now that I know to be careful of that, I can do it better next time around. The other thing I’m not completely happy with is the first couple of stitches I picked up on this side. They are sort of at the top of the upside down V formed by the heel flap. They’re right at the top of the last pic. They made large holes that I couldn’t find a way to prevent. 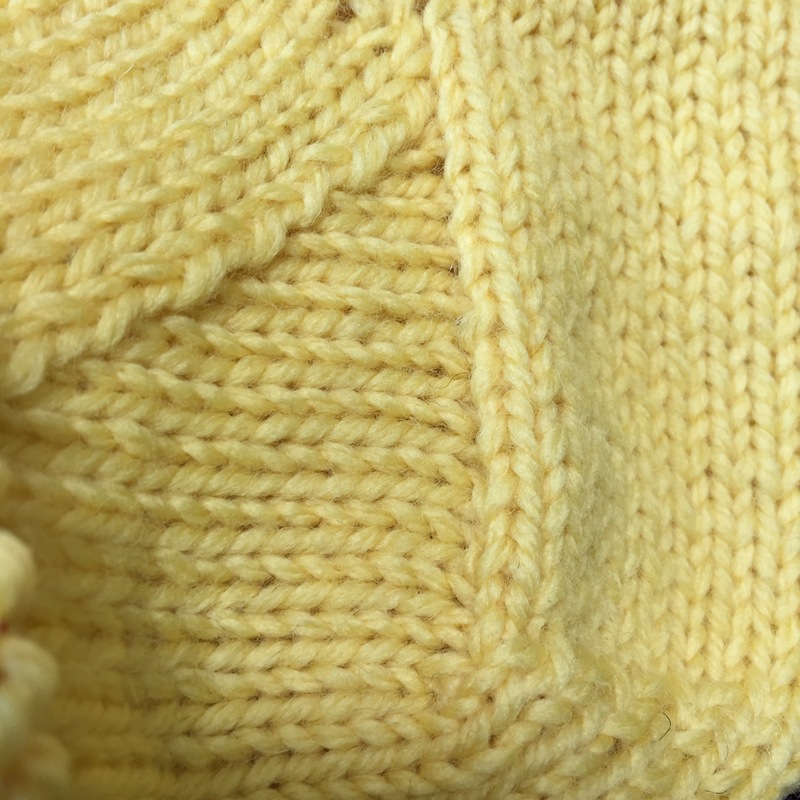 I knitted them through the back loops on the first round, but they still gap a good bit. I will have to do a little research on how to do that better so there’s not so much of a hole. So far, I’ve followed the pattern without making any modifications. 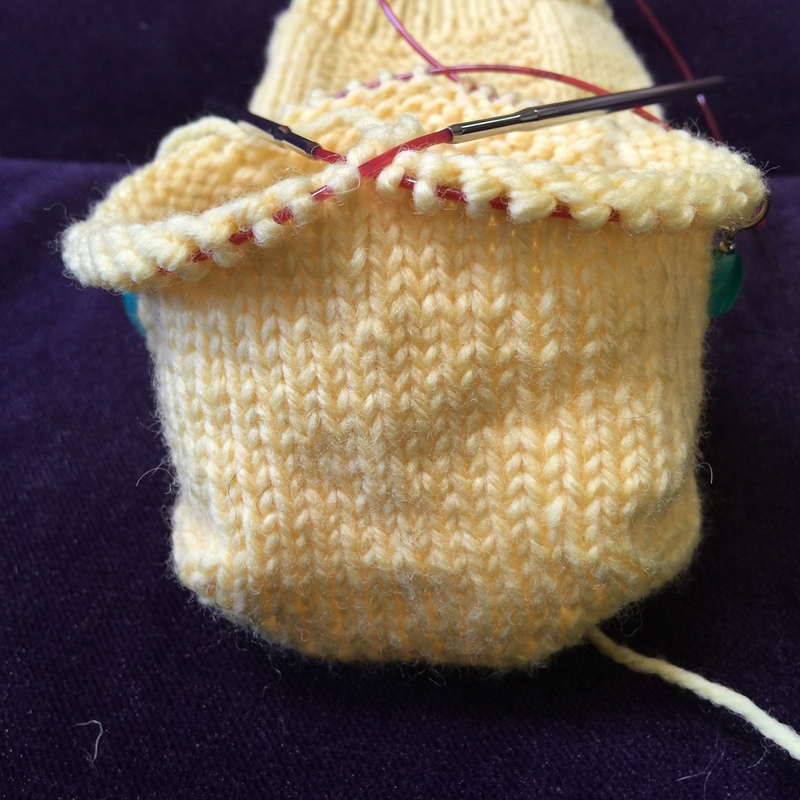 From here, the pattern calls for knitting until the foot is 1″ shorter than the desired length. At this point I’m going to do two or three more decrease rounds so the foot circumference fits a little better. Otherwise, I don’t foresee changing anything. I’m an old pro at Kitchener stitch at this point, so it should be smooth sailing now! Haven’t figured out a fix for that, yet. 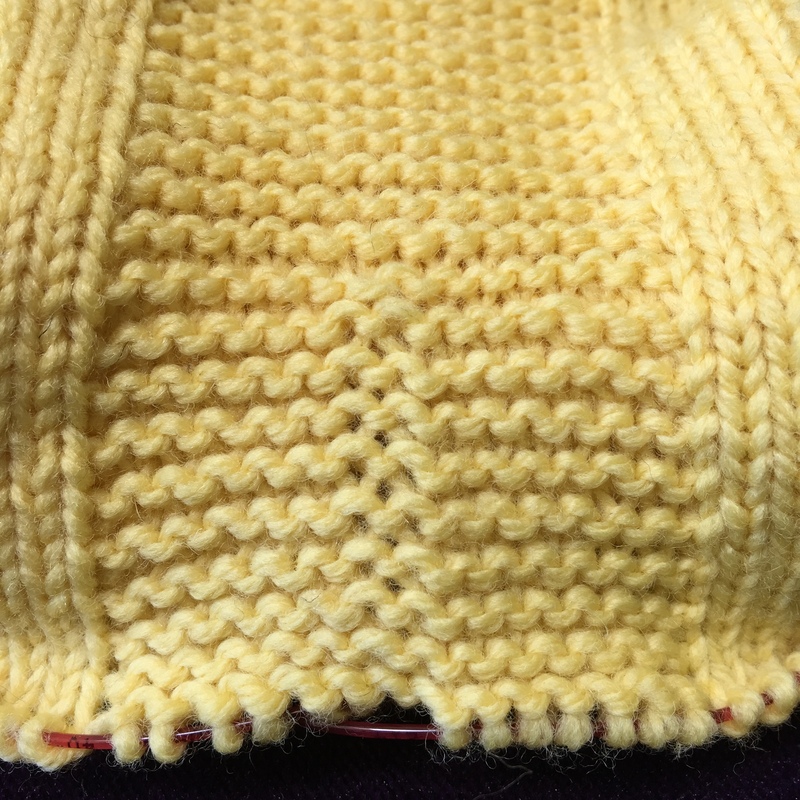 I’ve tried keeping the first stitch of the new section tight, the last stitch of the old section, the second stitch of the new section…nothing so far. Any suggestions? Otherwise I might have to cast on a new project while I’m waiting for my new dpns. Or, (gasp), do some finishing on my UFFOs! It’s just a change in tension. When you block your socks- it should even out. Wow! You are making excellent progress 🙂 I love the color! Agree with Tayla, it should block out just fine once done and washed. Splendid progress here. You’re doing great. That sounds like a good plan. 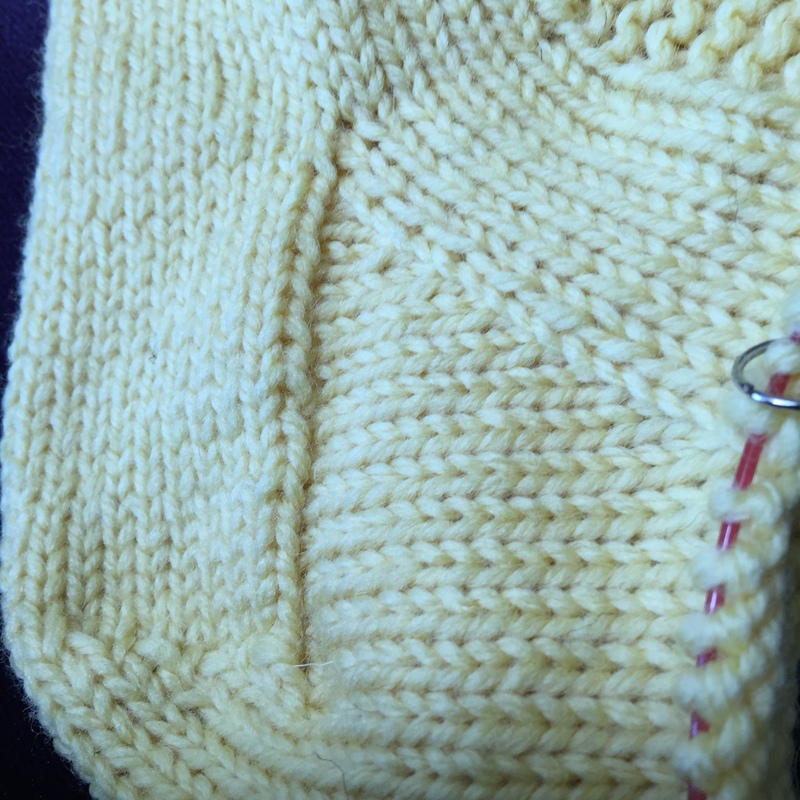 I did that for the thumb gusset on the last pair of mittens I made and it worked well. Thanks! Your sock looks awesome!!! The gussets are a bit weird at first but you totally nailed it! I shouldn’t be impressed because I knew you would ace thia, but I’m still seriously wowed 🙂 Congratulations!! !